Find hotel near Statue Of Mounted Andras ..
Count Andras Hadik de Futak who was more commonly known as Andras Hadik was a famous nobleman born during the reign of Habsburg Empire in the year 1710. He was also the governor of Galacia for 6 months in the year 1774. He was mainly the field general of the Hungarian army and was a very big military success. The statue in Budapest is made after him and is dedicated to his memory as a sign of respect. 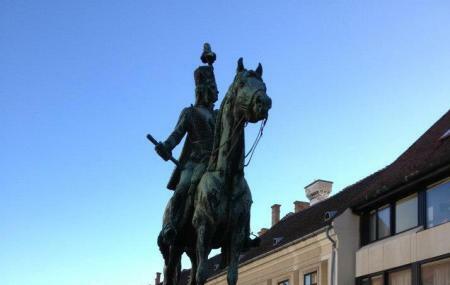 How popular is Statue Of Mounted Andras Hadik? People normally club together Golden Eagle Pharmacy Museum and Gouba while planning their visit to Statue Of Mounted Andras Hadik.